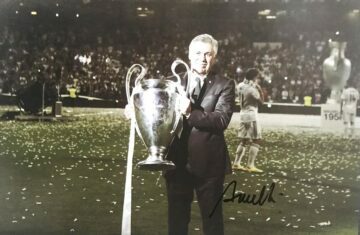 Browse our signed Real Madrid memorabilia. 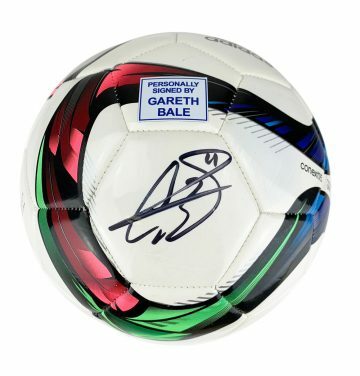 We have signed Real Madrid shirts and other player autographed items such as footballs, boots and signed prints & photos. All our items come with worldwide shipping, Free UK delivery and a certificate of authenticity! Many include a photo of the actual signing as absolute provenance. 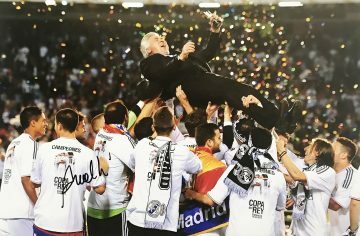 When you think of the clubs with the most outstanding sporting achievements to their name, Spanish footballing heavyweights Real Madrid FC instantly come to mind. Full name Real Madrid Club de Futbol, the word ‘real’ is Spanish for Royal. King Alfonso the 8th gave the club this regal name (and the crown in its crest) in 1920. The club’s prestigious name seems to have coloured its success over the years. 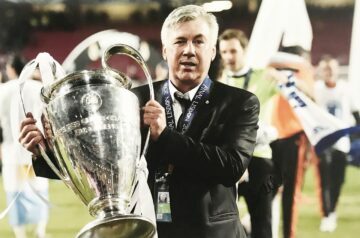 In domestic football they have claimed 60 trophies – including a record-breaking 33 La Liga titles, 19 Copa del Rey and 10 Supercopa de Espana wins. But their success is not limited to triumphs clinched on home soil. 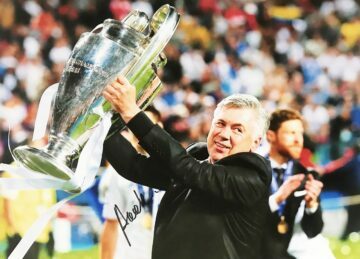 Real have consistently wowed on the world stage and in European competitions, securing a record 25 trophies including 13 UEFA Champions League titles (another record), 4 UEFA Supercups and 2 UEFA Cups. The club set a further precedent having achieved six world club championships. They are one of few clubs to have never been relegated throughout their 90 years in the top division. It’s perhaps unsurprising then that in 2000 FIFA recognised Real Madrid as the FIFA Club of the 20th Century. Their sustained success has also secured further recognition – they received the FIFA Centennial Order of Merit in 2004 and were awarded the prestigious Best European Club of the 20th Century title in 2010 by the IFFHS. 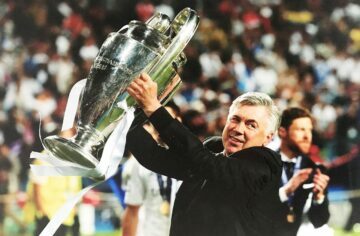 Unlike most other top-flight football clubs, Real Madrid has been consistently owned and operated by its members. With an estimated worth of $4.1 billion it is thought to be the second highest-earning football club in the world. Real Madrid draws support from all over the world – boasting one of the largest international fan bases in the game. 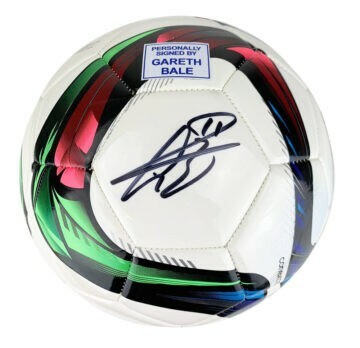 There’s a huge global market for signed Real Madrid football memorabilia – making specialist finds and unique items hard to come by. Here at Firma Stella we have a fantastic selection of Real Madrid player autographs on a variety of sports items including signed Real Madrid shirts, jerseys, balls and goalkeeper gloves!